This is like the most relaxing song that I have ever heard in my life. If we are going to have this kind of relaxing music for 2018, I am totally here for it. 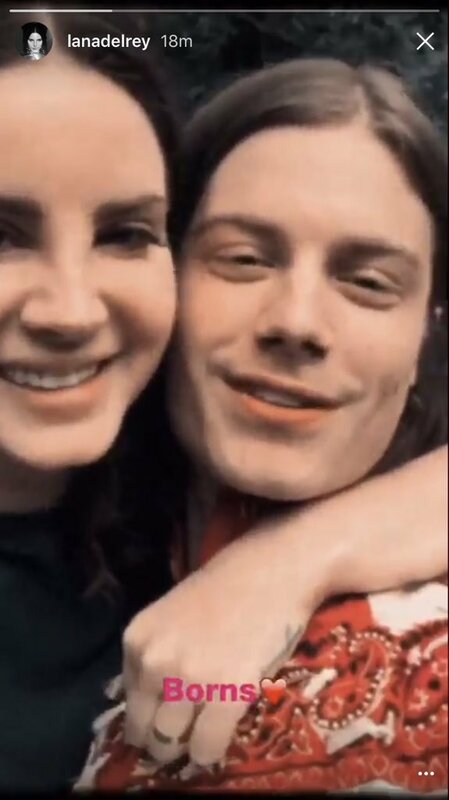 I feel like Lana’s voice is one of the most soothing voices I have ever heard and hearing her with BØRNS, I am just so relaxed. I need to listen to this song on repeat for an entire day and I will no longer have any worries. I don’t know where I have been but BØRNS is absolutely dope, I am sorry I am just finding out about him (or them?) now. Posted on January 3, 2018 January 3, 2018 Categories Celebrities A-J, Celebrities K-ZTags 2018, BØRNS, duet, God Save Our Young Blood, Lana Del ReyLeave a comment on BØRNS & Lana Del Rey Team Up For “God Save Our Young Blood” – Listen Here!